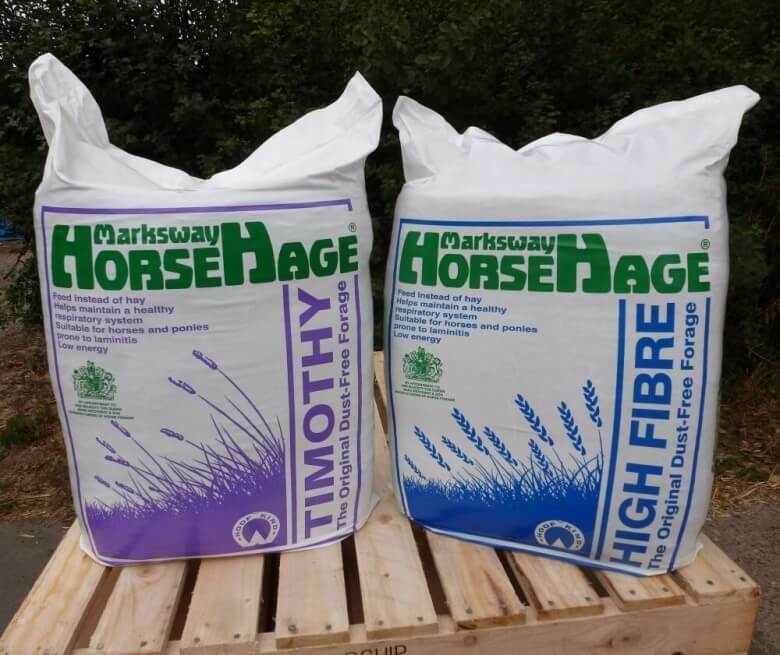 Our stocks of HorseHage High Fibre and Timothy are now plentiful following the glorious summer weather we are continuing to experience! HorseHage High Fibre is made from a selected mix of grasses that are high in fibre and lower in protein and energy levels. HorseHage High Fibre is generally suited for leisure horses and ponies, native types, veterans and those resting or convalescing. HorseHage High Fibre is also suitable for horses and ponies prone to laminitis, as the fermentation process reduces the natural sugar in the grass, giving a finished product with a lower sugar content. It also provides an excellent fibre source for competition horses who are fed high levels of concentrate. HorseHage Timothy, as the name suggests is made from Timothy grass which is higher in fibre and lower in protein than many other grasses. This makes it particularly suitable for horses and ponies prone to laminitis, native types, veterans, leisure horses and ponies, and those resting or convalescing. HorseHage Timothy has similar nutrient analysis to HorseHage High Fibre and is highly palatable, making it ideal for fussy feeders. HorseHage comes in highly compressed bales, which easily split in to wedges, making it ideal for taking away to those summer shows you have planned! Both of these products are available at your local stockist now.